One of our regional dealers, Urban Planters (Reading) will be attending the Big Green Event in Southampton this Autumn. 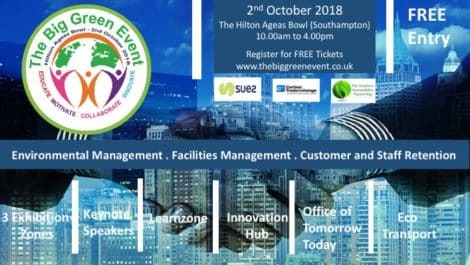 With its focus on Environmental and Facilities Management, the event takes place at the Hilton Aegas Bowl, Southampton on 2 October 2018 and is supported by Suez and the Carbon Trade Exchange. 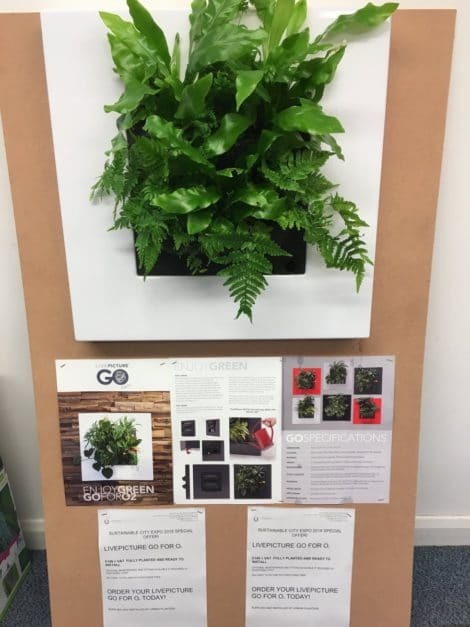 Fergus Belcher, Managing Director of Urban Planters (Reading), has just returned from a successful local launch of our new LivePicture Go at the Sustainable City Expo in Southampton, where the exciting new innovation in living art gained a lot of product interest from those driven by the well-documented health, air quality and well-being benefits of incorporating plants in interior home and work environments. The Big Green Event is free to attend and is a superb networking and innovation hub for those interested in improving efficiencies and facilities through environmental improvements. The Show incorporates company showcases, keynote speakers, breakout sessions and networking opportunities. Register now.